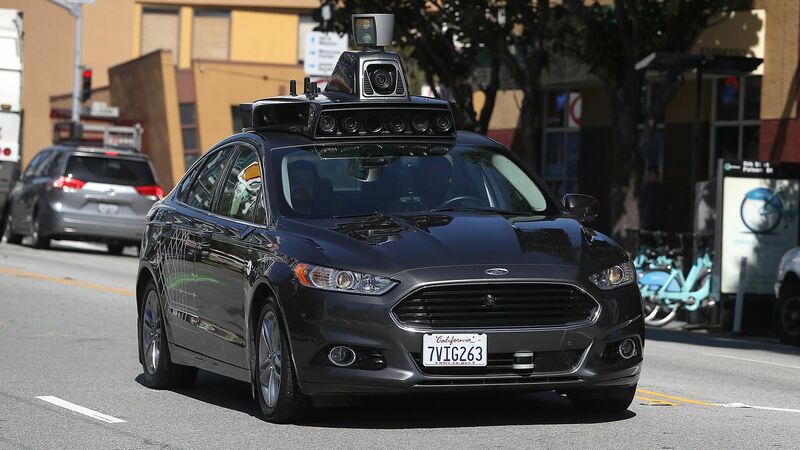 Uber says it will continue to invest heavily in automated driving technology, while admitting it has fallen behind competitors that could steal away customers with lower prices. Why it matters: Uber co-founder Travis Kalanick once called autonomous vehicles “existential” to its survival but now, in an SEC filing, the ride-hailing company sounds more conservative, predicting a long period of "hybrid autonomy" and a continued reliance on human drivers for the foreseeable future. Driving the news: Uber filed its long-awaited IPO on Thursday, seeking an initial market valuation of between $90 billion and $100 billion. The big picture: The prospectus sheds some light on the company's AV efforts. Uber spent $457 million last year on research and development of AVs, flying cars (known as eVTOLs) and other technology programs — and expects to increase its investments in the near-term. Its Advanced Technologies Group (ATG) has built over 250 self-driving vehicles, collected data from "millions" of AV testing miles, and completed tens of thousands of passenger trips. Even when robo-taxis are deployed, Uber said it will still need human drivers for situations that "involve substantial traffic, complex routes, or unusual weather conditions." Toyota: Uber will fit its AV technology into purpose-built Toyotas. Volvo: Uber will develop its own fleet of self-driving cars based on Volvo's XC90. Daimler: The German carmaker will introduce its own fleet of vehicles on Uber's network. Yes, but: Uber said it expects competitors to launch commercial AVs at scale before it does, and warned that without drivers, rivals could slash prices on ride-hailing, meal delivery or logistics services. Robo-taxis and delivery AVs are likely to roll out city-by-city, each operated by different AV companies: Waymo in Phoenix, GM Cruise in San Francisco and Ford in Miami. With virtually no switching costs, that could make it difficult for Uber to defend its dominant market share. Like its smaller rival Lyft, which went public earlier this month, Uber can't count on AVs to turn it into a profitable enterprise. Go deeper: Uber's self-driving car unit lost $20 million a month. That's normal. Editor's note: This story has been updated to clarify former CEO Travis Kalanick’s chacterization of AVs as "existential" to the business. Uber provided a look into its food delivery business — Uber Eats — as part of its IPO filing on Thursday. By the numbers: $7.9 billion in gross bookings for 2018, up from $3 billion in 2017. This translates to $1.5 billion in revenue, up from $587 million in 2017, and $757 million in adjusted net revenue in 2018, up from $367 million the prior year. Why it matters: Bankers courting the company gave Uber Eats a lofty valuation and expected it to become profitable quickly. But Uber's regulatory filing shows that while it's a growing portion of the business, it's still much smaller than its core ride-hailing business.